Clipper Race delegation visits the The DAVA Centre supported by UNICEF in the Hoa Vang District of Da NangClipper Race CEO William Ward along with crew members who are raising money for Official Race Charity UNICEFwere invited to The DAVA Centre in the Hoa Vang District of Da Nang this week to see first-hand how UNICEF supports children with disabilities in Vietnam. 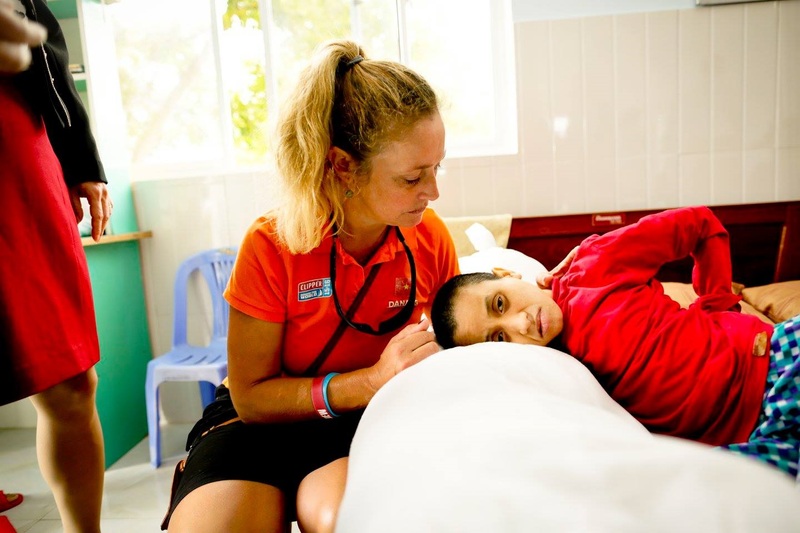 Opened in May 2011 with the financial support of UNICEF, and managed by the Da Nang Association for Victims of Agent Orange (DAVA) and volunteers, the day care centre receives over 90 children with disabilities every day. 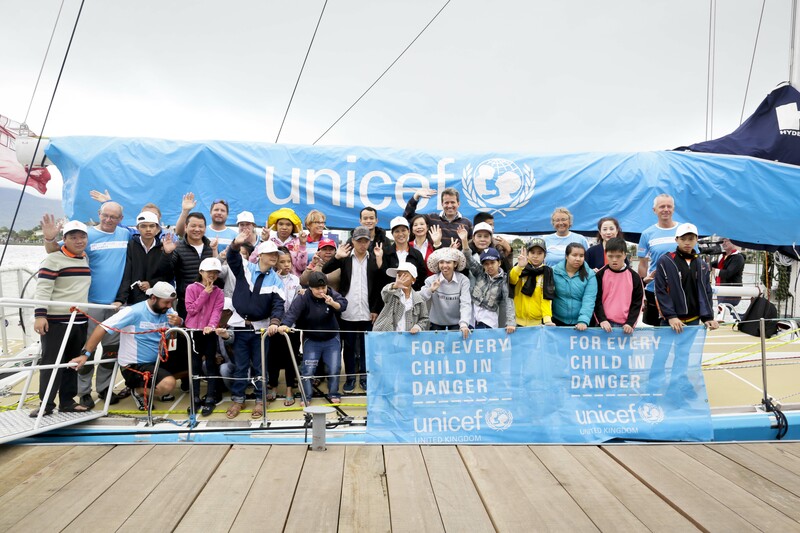 The children greeted their Clipper Race crew visitors with big smiles and a special dance performance before Centre Director Madame Nguyen Thi Hien formally welcomed the group, including representatives from UNICEF Viet Nam and explained the purpose of the centre and the important work it does. 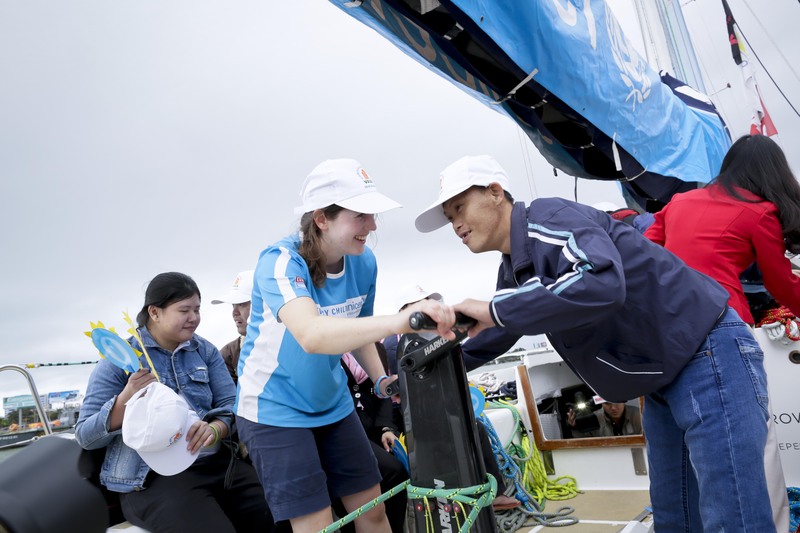 Jesper Moller, Deputy Country Representative for UNICEF in Viet Nam, says: “The interaction in Da Nang between the Clipper Race crew and the children has been incredibly positive and has provided a great opportunity for people to see the important work UNICEF does on the ground here. All local currency donated to Clipper Race staff before the teams leave Viet Nam for Qingdao will go directly to the DAVA Centre. 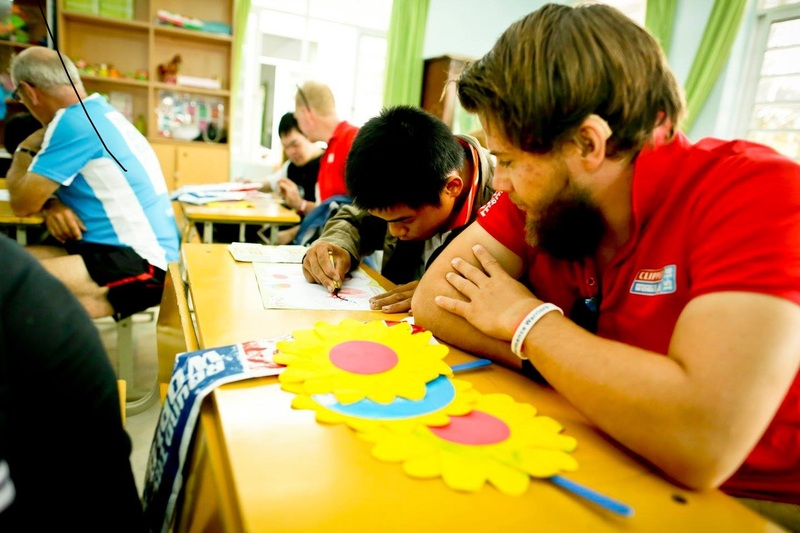 Click here to see images of Clipper Race crew visiting the DAVA Centre on UNICEF Viet Nam’s Facebook Page.